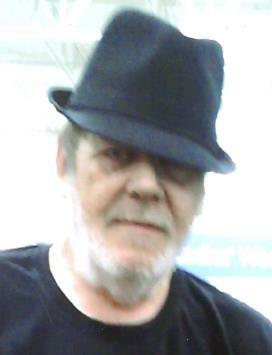 Virgil Wayne “Rusty” Herrin, 65, of Moore, passed Thursday, March 21st in his home. He was born November 28, 1953 in Heidelberg, Germany to Jack and Bessie Herrin. Rusty joined the U.S. Army in June 1973. He served in the Army 7 ½ years before being honorably discharged. The Army was a big part of this life. Rusty married Tonya Hudson in 1981. He was passionate about motorcycles and owned his own Paint and Body Shop for many years. Rusty is survived by his loving wife of 37 years, Tonya Herrin; two sons Ray Herrin and his wife Candy and Russell Herrin; three daughters Amber Herrin, Nicole Herrin, and Loretta Briggs; grandchildren Dylan, Ty, Aubrey, Abbigail, Kaeesha, Kayden, Lyric, and Santana; brothers Robert Herrin and his wife Delora and Curtis Herrin and his wife Debbie; sister Maxine Jacobs and her husband Mike.